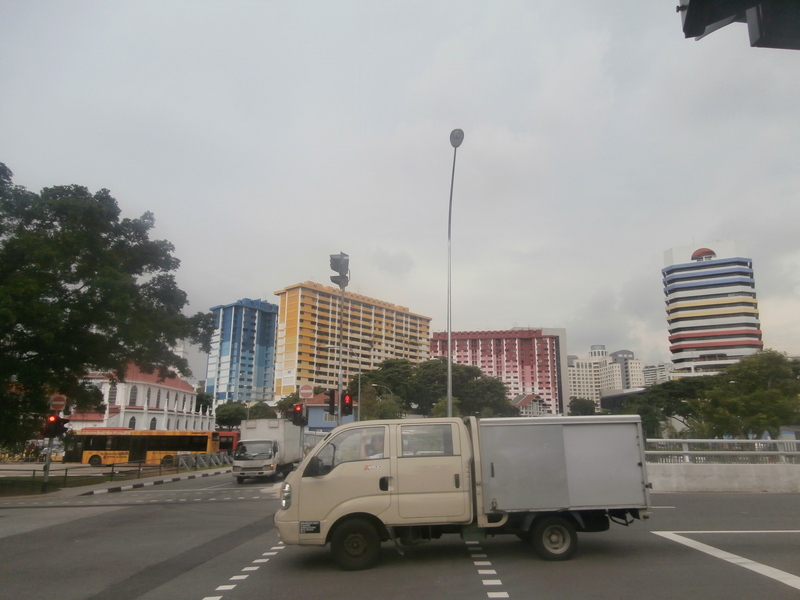 Before planning this trip, I didn’t know much about Singapore. I knew it was a city in Asia and that it was the name of my kid’s elementary school math curriculum and that was about it. Once we started planning I learned that the city is known for being clean, modern, and expensive. And all of that turned out to be true! 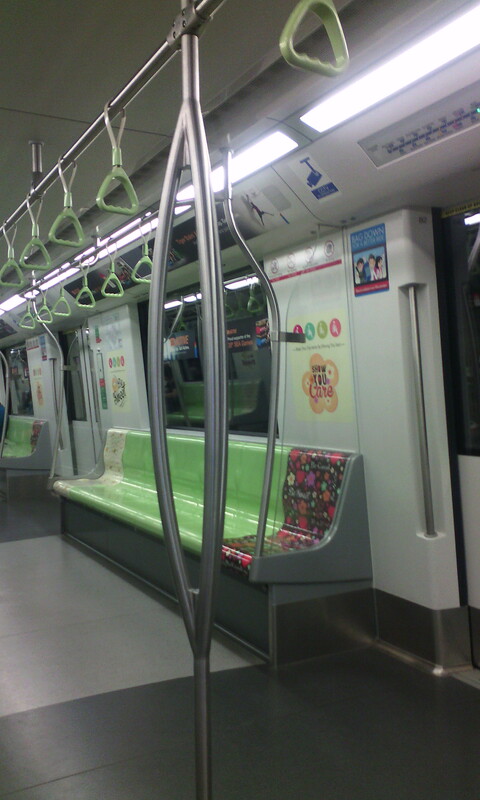 Have you ever seen a cuter or cleaner subway car? But the first thing I noticed when we left the airport and got on the train going into the city was how diverse the people in Singapore are. After spending that last three days in Taipei surrounded by a sea of similar looking faces, it was a breath fresh air to see Indians, Muslims, Chinese, and other faces all together on one train. No offense to the Taiwanese, I just love diversity. We lucked out when one of Rand’s former students offered to not only let us stay at his place, but to give us the place to ourselves while he stayed with a friend for the week. If it weren’t for this, we never would have been able to stay within our $100/day budget (see: Singapore is expensive). We also almost got to sleep on the streets the first night when couldn’t get into elevator bay because we didn’t have the key card, only the key to the apartment. We couldn’t get a hold of the former student and the security guards would not let us in. We waited outside for 45 minutes until two out of three girls were crying (we had gotten up at 3:45 am to catch our flight from Taiwan and it was 11pm, so we were exhausted) and Rand gave the security guards his driver’s license info (his passport was in the apartment) before security finally let us in. I’m not gonna lie we spent most of our time in Singapore eating. 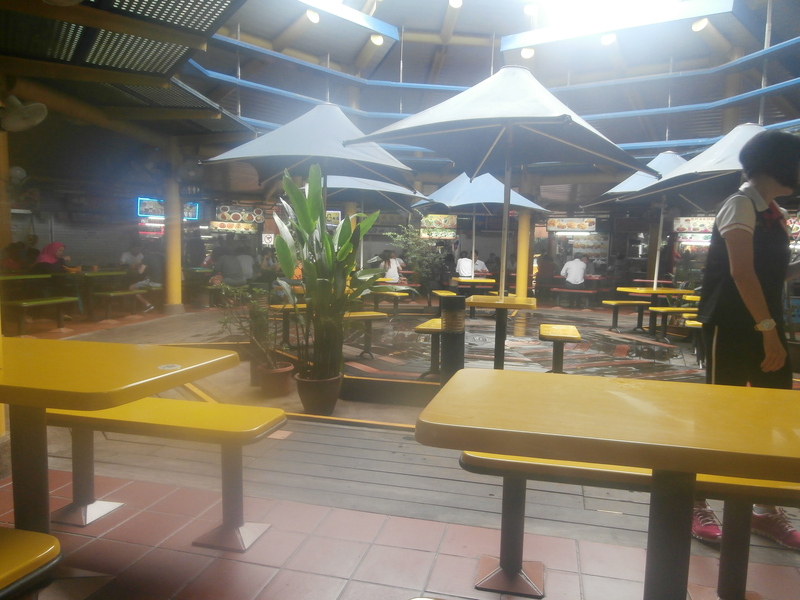 We especially loved the hawker centres (groups of food stalls). The food was cheap and delicious. Some of my favorites were Roti Prata, Black Carrot Cake (it’s not at all like the carrot cake we eat in America. It’s kind of a radish stir fry in a delicious sweet soy sauce), and fresh lime juice. 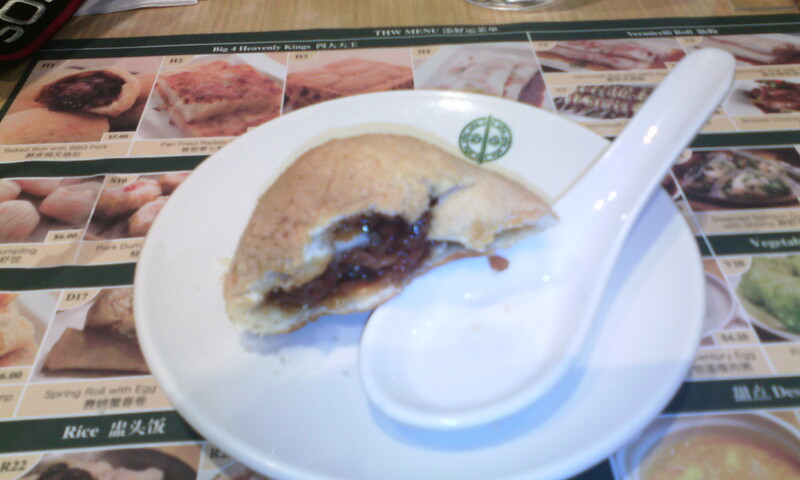 Other food highlights included Tim Ho Wan’s baked buns with BBQ pork. This was one of the only sit down restaurants we went to in Singapore. The other dim sum food there was OK, but the baked buns were great. We also got really good Kaya toast (toasted bread with coconut jam inside) at the Toast Box, a chain place found in most malls in Singapore. 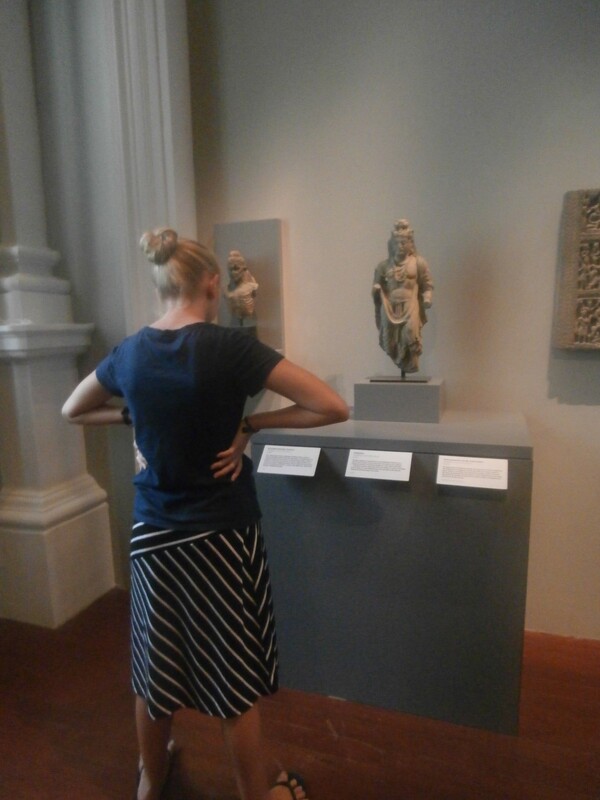 To kill time between meals, we visited the Asian Civilization Museum (small, free museum great for soaking up some A/C for an hour or so), meandered through the Singapore Botanical Gardens, and wandered around Arab Street and Little India. 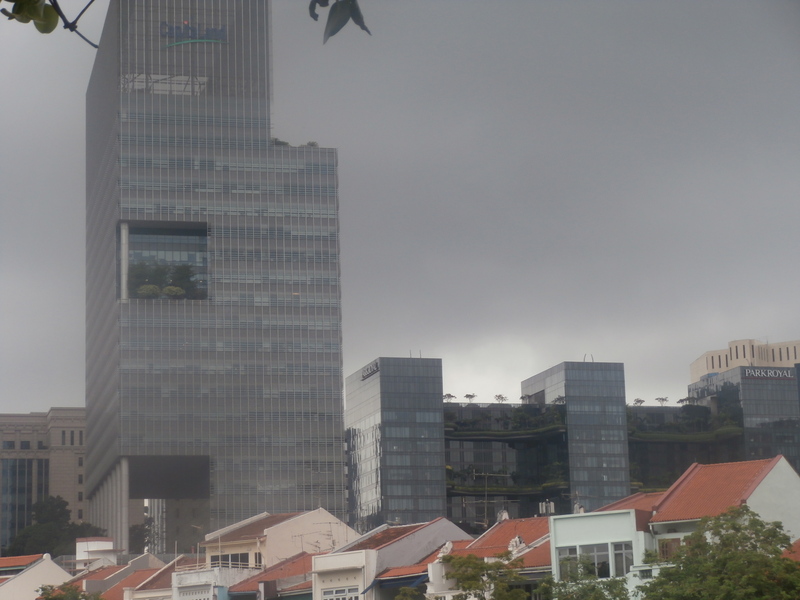 We had planned to go to the Singapore Zoo, but after walking around the hot city for three days we were worn out, plus the entrance fee would have blown our budget. We ended up spending our last day in Singapore hanging out in the fancy (and air conditioned) Ion Mall. We got suckling pig and duck at the food court and fantastic deserts at Awfully Chocolate. Asian food courts seriously kick the butts of American Mall food courts! 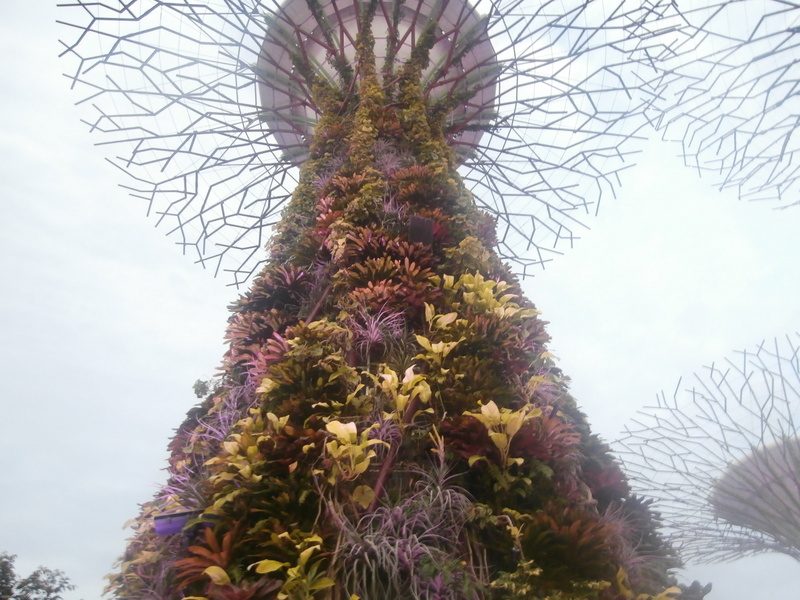 The non-food highlight of Singapore was the Super Trees in Gardens by the Bay. We liked them so much we went back a second night. Plus due to some confusion, we missed the Super Trees light show and the laser light show on the river the first night, so we caught both the second night. It was so cool to stand under these huge “trees” with plants growing up the trunks and lights in the branches. The laser light show on the river included videos projected onto mist of water. I have never seen anything like it. Green spaces are everywhere in Singapore! I have fallen in love with Singapore. I had few expectations for this city, so I was surprised at how much I liked it. One great thing about it is that it has the best of both Eastern and Western cities. The hawker centres and the food courts have amazing Asian food, but you can also get Kenny Roger’s Roasters if you really want it (spoiler alert: we didn’t). There was so much diversity. In a twenty minute walk, you can visit a Muslim mosque, a Hindu temple, and a Buddhist temple. The city is easy to get around and it’s clean. Oh so clean! Most of the other Asian cities that I have visited have required me to overlook the grime to see the beauty and wonder. 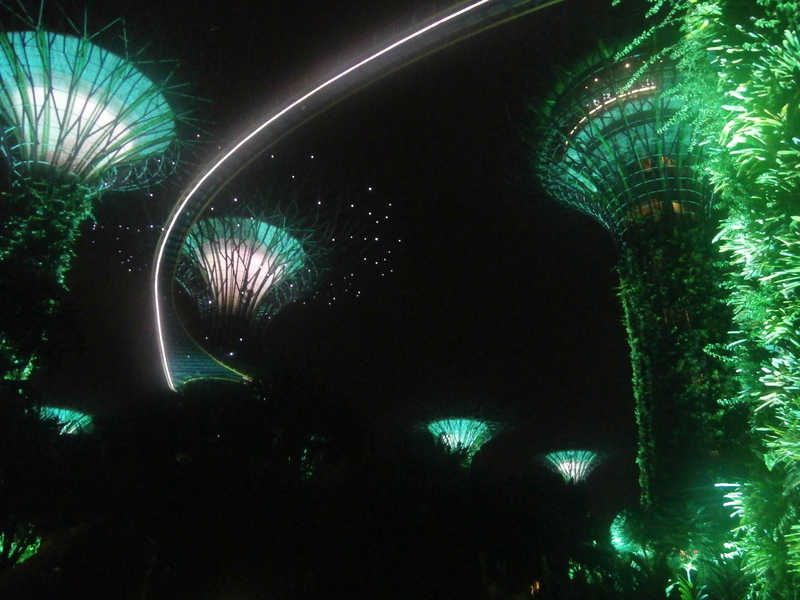 Singapore is just beautiful and wonderful. Interesting buildings, modern architecture, delicious food. And I feel like we only scratched the surface. I would come back and visit this city again in a heart beat. 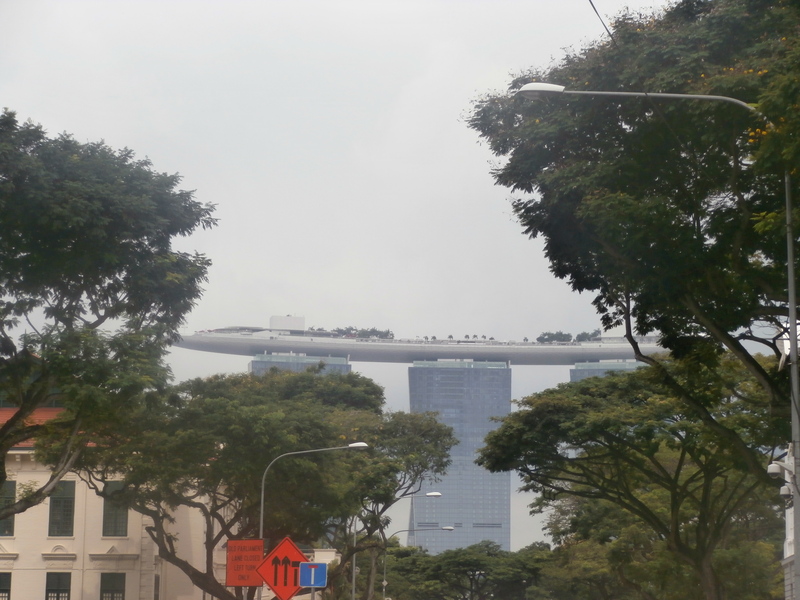 How can you not love a city with a cruise ship on top of three high rise buildings? The Helix Bridge. Why build a normal bridge when you can make a cool looking one? That’s me in the striped skirt.